Today we see Jesus Christ standing on Mount Tabor before His three inner circle disciples—Peter, James and John—and He is transfigured before them, His human body shining before them with His face like the sun and His garments as white even as light itself. Today we celebrate the Transfiguration of Jesus Christ. Usually when we look at this moment in the life of Jesus Christ we think of what it means for our salvation—the transfigured Christ is potentially our own destiny. He shines with the uncreated light of God yet shines from His human body, thus revealing Him as fully God and fully man in one Person. And if we remain in Christ and advance in deification, becoming more and more like Him by aligning ourselves with Him and His life, then while we do not become God by nature, we are filled with God’s presence by grace. And some of the saints have even shone forth literally in this same way, even in our own time. This is a really astounding image, and it perfectly sums up the basics of Orthodox soteriology—our doctrine of what salvation is. But what I’d like to discuss today is what the Transfiguration has to do with our apostolic ministry to each other and to the world. And this is actually not unrelated to our soteriology. 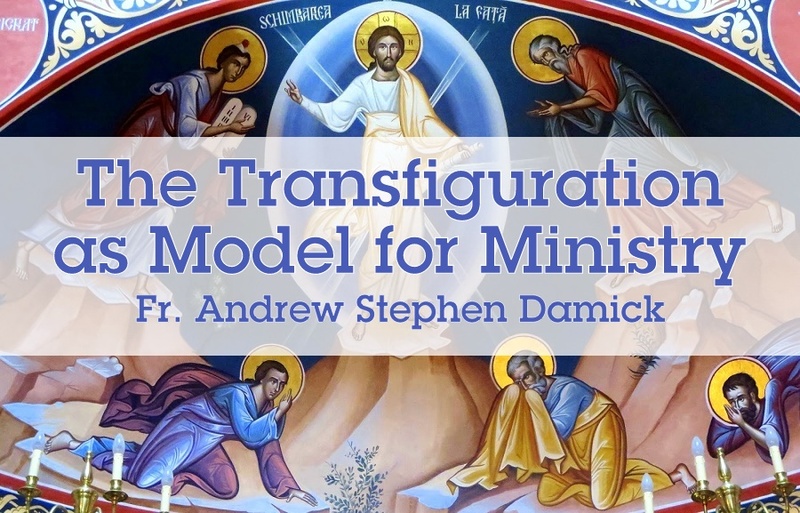 Indeed, our soteriological understanding of the Transfiguration is precisely what leads to understanding the Transfiguration as a model for ministry. Let’s back up a moment, though, and spend a few minutes thinking about what is prior to all this—the Christological understanding of the Transfiguration. Christology is our doctrine of Who Jesus Christ is. This is the very core of Christian teaching and life. If we get this wrong, then we get everything about Christianity wrong. If we preach what is false about Jesus, then we are leading people to pray to the wrong Jesus—not to Jesus at all, actually. So this is really critical. As I mentioned earlier, the Transfiguration shows us Who Jesus is. He is God and man, one Person in two natures. So from that, we can see what the Transfiguration isn’t. It isn’t Jesus “showing His true form,” namely, that He’s really not a man but is actually God. Notice that the Transfiguration doesn’t entail His body going away. He doesn’t become a faceless, dehumanized deity. He doesn’t reveal Himself as “pure energy” or something like that. He is revealed still precisely as human and also as God. We still see His face and even His clothes—an interesting detail from the Gospel. This is still a man, but we also see Him as God. We have already discussed the soteriological importance of this—if we are in Christ, then we are human beings who can reveal God, as well, because He can be present in us by grace. So let’s discuss what the Christology of the Transfiguration teaches us about ministry. The world in which we now live our day-to-day lives is a place where we mostly just experience things physically. We see, hear, smell, taste and touch this world. We think of physical explanations for just about everything first. If I feel sick, I know it’s because of a virus or bacteria or because I didn’t get enough sleep last night. So I go to the doctor or take a pill or get more sleep. If I am lacking something, it’s because of some physical cause—weather conditions or not working hard enough or because someone stole something from me. Most of the time, we don’t think of any of these things as having a spiritual cause or even a spiritual component. The transcendent—the interaction of the divine or spiritual—just isn’t part of my daily life without having to try to make it so. All I’ve got is the immanent—the world of the physical senses. I’ve got that without even thinking about it. Totally normal. The transcendent isn’t normal. So what is it about the Transfiguration that addresses the world in which we now live? Was it addressed only to a first-century audience which took the divine for granted and was far more ready to receive such experiences? No, it wasn’t. Jesus knew that we would be celebrating this feast today here in twenty-first-century America. Our attempts to appropriate the Transfiguration for ourselves are no surprise to Him. So let’s look at this event with the eyes we have now, formed in the culture we have now, informed by the whole history that has brought us to this moment. What do we see? First, we see a scene that looks pretty immanent to us—it’s Jesus, a man, bringing His three closest disciples up on a mountain with Him. It’s a hike. It’s four men together. This is a scene we can easily believe and easily understand—four men on a hike up a mountain. And then Jesus begins to shine like the sun. Okay, so that’s not normal. That breaks into our understanding of what’s actually possible there. It’s uncomfortable. It’s disruptive. But it’s divine. And it’s there. And also—and this is crucial—it doesn’t stop also being four men on a hike. Jesus doesn’t stop being human. He doesn’t shed His humanity and blast them all with His divinity. His divinity is not opposed to His humanity. Both are there together. The transcendent has been brought down to touch the immanent. The divine has been made apparent even in the midst of a very human scene. The Transfiguration is Jesus modeling ministry for us even here and now. We are called to do as He did. We are called to be with each other and with others in our lives in the midst of their very immanentized lives. We live the same lives! Our day-to-day experience is the same! But we are members of the royal priesthood of Christ. So we have authority from Him to do something that He does. We have authority to invoke the transcendent directly into an otherwise fully immanentized experience. We can bring God into any scene. How do we do that? Well, there are many ways. But today I want to challenge you with just one. And this is a challenge I have recently taken on myself. I’m still practicing this, so I’m not good at it yet, but I’m working on it. Here’s the challenge: When someone asks you to pray for them, or even if they don’t ask and you sense that it’s needed, don’t just put that person on a prayer list or say, “I will pray for you.” Instead, pray for them and with them right there. If you have to take them aside, do it. Now, I know that sometimes, you won’t be able to do that. But most of the time, it can be done. What holds us back from this most of the time is just that it feels weird or awkward. And why does it feel that way? It’s because we’re so used to living immanentized lives that we feel odd about bringing prayer into them except at approved, set-aside times. But prayer can’t be domesticated. And the Holy Spirit is waiting to fill us and give us the words. Even if you’re just responding to a text message, don’t just say, “I will pray for you” but rather, “I am praying for you right now.” And then do it. And when you pray, simply ask God for what is needed. Ask Him for healing or for peace or for the healing of a broken heart or for solving financial troubles or for mending broken relationships. Just ask outright. He hears you. You don’t always have to use a prayer book. 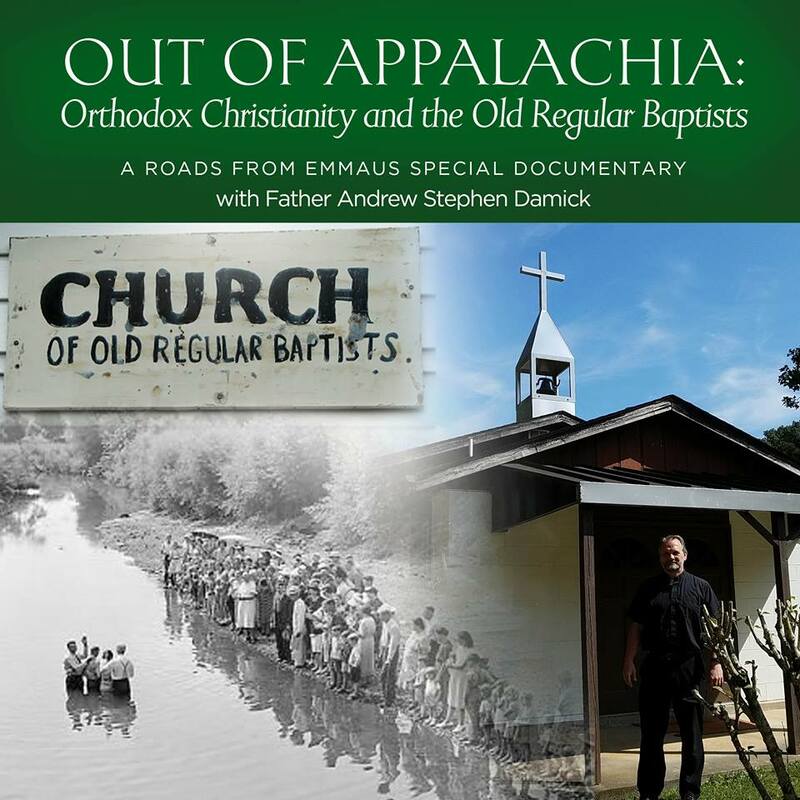 Prayer books are good and form the backbone of our prayer as Orthodox Christians, but we are also authoritative in God’s sight to pray what is in our hearts, as well. This happens in the Bible and in Church history all the time—immediate, intercessory prayer. He will hear us when we call. When you pray for someone right then and there, it’s powerful. It brings God right into the moment. It ministers right at the moment. It shows the other person that God is with them and cares for them in a way that simply putting them on a prayer list just can’t quite do. We don’t have to be afraid. Jesus Christ showed us on Mount Tabor that He’s ready to bring His divine presence right into our ordinary, day-to-day lives. He’s ready to bring the transcendent to bear even in our immanentized existence. This physical life is not all that there is. So let’s have some courage. In the epistle reading, St. Peter talks about his experience at the Transfiguration. And he speaks with boldness, saying that he and the other apostles “did not follow cunningly devised fables.” They knew it was real, because God was there with them on that mountain. And we can bring that same God onto the mountains and into the valleys of our own ordinary lives. This is our mission as the royal priesthood, to call down the divine from heaven and bring Him into this very moment with these very people whom God has given us. So next time someone says, “Pray for me,” go ahead and do it right then. It’s powerful. Keep the prayer list, but exercise your priesthood right there in the moment, too. To the God Who is with us even in our ordinariness, the Father, Son and Holy Spirit, be all glory, honor and power unto the ages of ages. Amen. Preaching the Gospel "That Our Joy May Be Fulfilled"
Brilliant! (As always). Thank you for sharing your message. It is clear and insightful. You are an excellent spiritual “shepherd.” I rejoice and give thanks to God for knowing you.